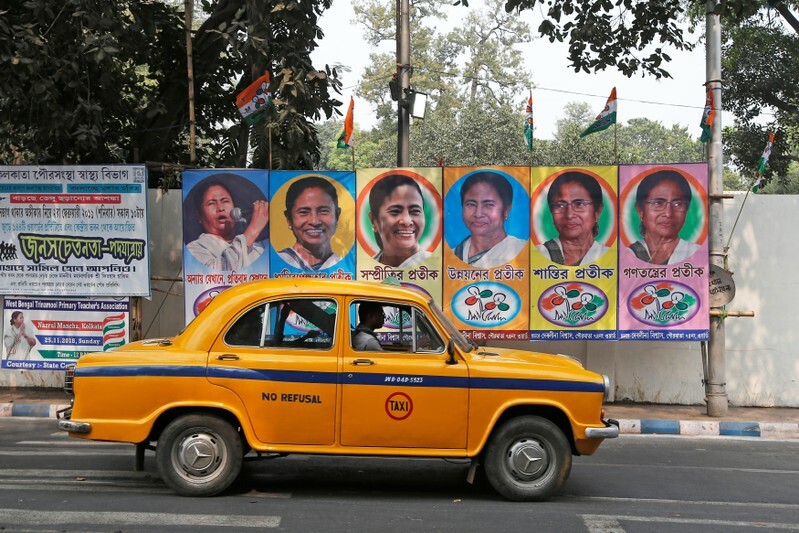 KOLKATA (Reuters) – At an election rally in the eastern Indian state of West Bengal, a local leader from Prime Minister Narendra Modi’s Bharatiya Janata Party (BJP) described how workers from the state’s ruling Trinamool Congress (TMC) had disrupted a public meeting in January by destroying their vehicles. “So, we thrashed them in retaliation, smashed their vehicles and burnt their party office,” Arup Das, a district secretary of the Hindu nationalist BJP, roared at the rally in the town of Kharagpur. Political differences have been erupting into tension and sometimes violence across India ahead of the general election in April-May, but it’s particularly bad in West Bengal. Both the BJP and the TMC are accusing each other of killings, beatings, vandalism and making false allegations to the police. After losing three state elections late last year, and with weak farm incomes and slow jobs growth undermining his backing in the BJP’s traditional Hindu base in the north, Modi is driving hard to pick up support in West Bengal. “BJP is rising in West Bengal,” said Udayan Bandyopadhyay, head of the political science department at Bangabasi College in Kolkata, the state capital. There is a sense of anti-incumbency that is working against Banerjee, who has won the previous two state assembly elections, Bandyopadhyay said. BJP did well at village council polls last year and a recent survey showed the party winning eight out of the 42 parliamentary seats in Bengal, up from two currently. To be sure, Modi could win the national election without taking many seats in West Bengal. What could have been a close contest has changed in recent weeks because of a suicide car bomb attack in Kashmir that killed 40 police officers. That led to an Indian warplane attack on what the Indian government said was a “terrorist” training camp in Pakistan, and subsequent retaliation by the Pakistanis. Pollsters say they expect Modi to get a boost because of the sense of nationalism stirred by the events in Kashmir. And the disarray among parties opposed to the BJP will also play in its favor. The BJP said it had to cancel several visits by senior leaders to address rallies as Banerjee’s administration denied permission for their helicopters to land. The BJP’s West Bengal President Dilip Ghosh said police and other government officials were being used by Banerjee to thwart democracy in the state. “I’ve announced openly everyone should carry batons, bamboos and if goons attack you, you hit back. So we are fighting back. Now goons are afraid to turn up,” said Ghosh. On Saturday, Rahul Gandhi, president of the Congress party that is the main national opposition group, also accused the TMC of regularly harassing and beating up its workers in Bengal. In January, she brought together more than 20 regional parties, including the Congress, on one stage in Kolkata, or Calcutta, as the city was previously known, under the ‘United India’ banner. It was a show of opposition to the BJP that drew hundreds of thousands from rural Bengal. Banerjee has announced government subsidies and incentive schemes aimed at benefiting the poor. But critics say she is attracting voters by funding local clubs and organizing events, such as mass marriages, where gifts can be made. Hindu groups linked to the BJP also accuse her of appeasing Muslim voters, who make up about one third of the electorate, by providing separate schools, hospitals and training institutes for the community and handing out stipends. “Since independence there has never been a bigger anti-Hindu government in West Bengal,” said Jishnu Basu, the general secretary in charge of south Bengal for the Rashtriya Swayamsevak Sangh, the Hindu nationalist parent of the BJP. Banerjee did not respond to requests to be interviewed for this article. Derek O’Brien, TMC’s parliamentary party leader, said the allegations from the BJP were “shameless” and that Modi’s party aimed to divide communities. “They use their dirty tricks department to create this conversation of polarization. It is sickening,” he said. Although elections are still weeks away, some voters are already saying the BJP could bring prosperity to the state. “The verdict of the general public is to give BJP a chance this time,” said 71-year-old Gour Majhi, a potato farmer, at the Kharagpur BJP rally.